Every year, every day, with each new birth, a new generation begins. I've raised seven children, thus starting seven generations in a rural setting in the woods of Southern Lancaster County in Pennsylvania. During those years, I've seen and responded to childhood accidents in every conceivable instance, day and night, inside and outside, at every age. I've dealt with burns, concussions, choking, broken bones, stings and bites, and a whole lot more. Living so far away from the hospital, I learned quickly how to handle these types of incidents. And I am glad to say, all seven of those kids came out of it, alive and well. In some of those instances, however, it could have been a different story had I not followed an approach I call B.A.D.A.S.S. A lot of what follows is not new—but it is told in a new way. It is a method that seemed to work for my family. What Does B.A.D.A.S.S. Stand For? Every year, over 18,000 home related deaths occur, many of which could have been prevented or treated successfully. Now, not everyone can be EMT-certified, but every parent can and should be able to perform some easy-to-learn principles of B.A.D.A.S.S. Whenever an accident or situation occurs, follow this plan. It may look like it's complicated or long, but it's actually just a way of thinking. Practice is the real key. B. BREATHE - The most important step. Don't overreact, stay calm no matter what. Take a deep breath. Breathe in, breathe out. A. ASSESS - Take a good look at what's going on. Assess the situation. Look at what the most critical thing is. Does 911 need to be called? D. DETERMINE - Choose your approach. Use your practice and training to properly decide what course of action you need to start with. S. SECURE - Treat your patient securely. Your confidence will place your patient at ease. Panic on your part will make the situation worse, possibly dangerous. S. SOOTHE - As important as breathing. Gentle relaxing words. Words that don't focus on the pain or the scare. A good time to "baby." Being a B.A.D.A.S.S. parent can make the difference between life and death. 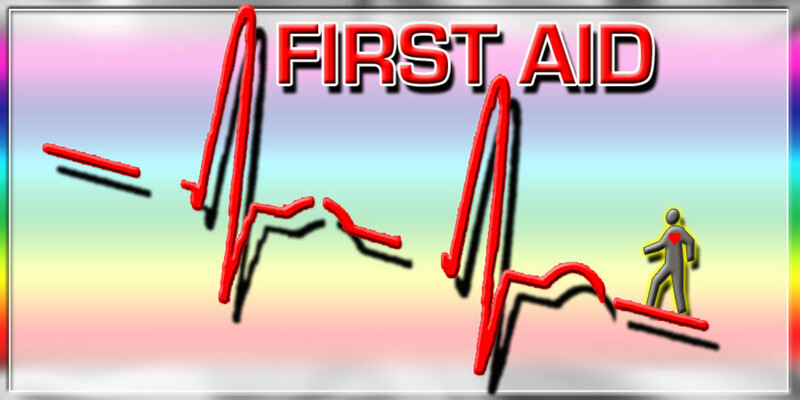 What follows are the ten primary first aid approaches when dealing with the most common injuries and accidents. Be advised howeve, these are a guide and should be followed up with even more training. Thsese ten are not in order of priority and each should be practiced to make you more confident should the need ever arise. 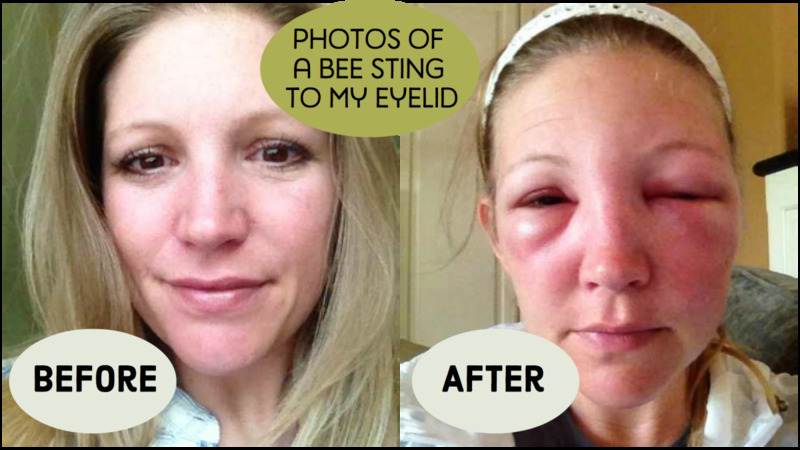 The information provided here should not be used as a substitute for certified medical advice and treatment. The B.A.D.A.S.S. principles are meant to be used only in emergency situations, after which qualified medical advice should be sought. With seven kids, choking had happened more than once. And, If I remember correctly, the first was on a piece of bacon. After that first time of doing the Heimlich Maneuver, the second and third time wasn't so scary. Here is a great video that gives great instruction on performing the Heimlich Maneuver on a child. Don't Panic. Be Calm. Breathe On. 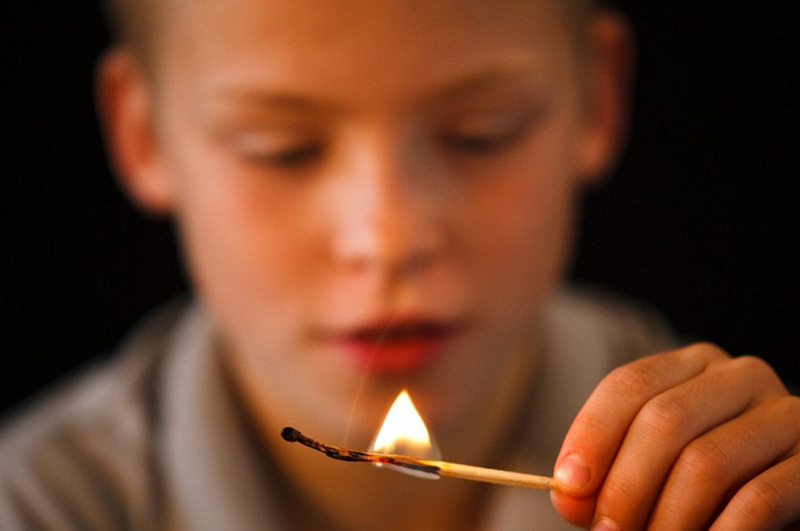 Of the top injuries reported in home injuries among children, burns is near the top of the list. Look around your house, if you were trying to burn yourself, how many places could you do it? Obviously, the stove or oven may be your first choice, but take a look at this list and see if you can add to it. Its surprising how many burn points there are. If you can find a burn point, so can curious kids. If, when a burn occurs, you want to assess the situation and decide if it warrants an emergency visit to doctor or hospital. 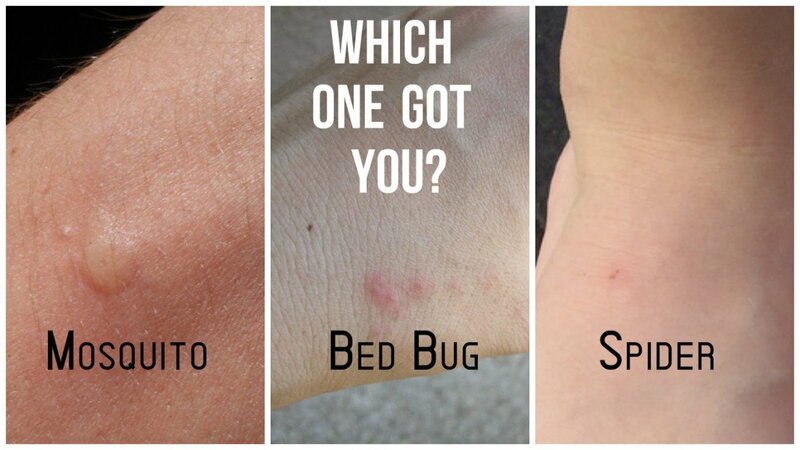 Either way, you still want to do preliminary treatment and determine the immediate action to take. Below is an excellent 3 minute instructional video that gives advice on both immediate action and securing and soothing burns. Each year, over 800,000 children are rushed to the emergency room because of some kind of poisoning. It is important to assess the severity and extent of the harm of what was swallowed or applied and then determine what to do. 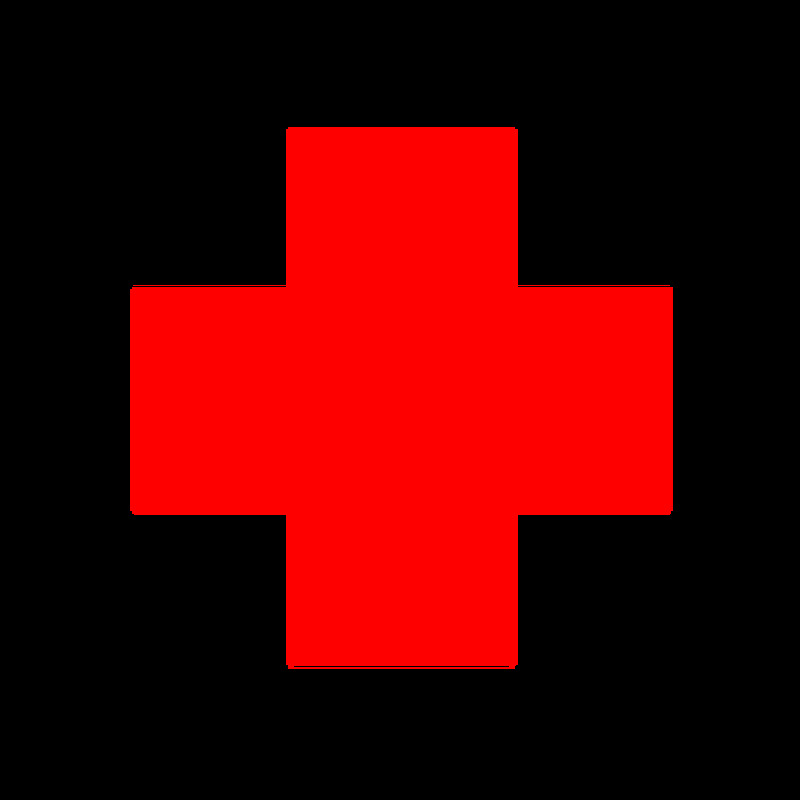 In most cases, immediate hospital treatment is highly recommended. I once had to take a child to the ER for swallowing a watch battery--and I’m glad I did--I later found out that if I had not, a very serious internal burn could have occurred. If the poison is ingested, check inside the mouth for any remaining items, Do not induce vomiting--this can do more harm than good. 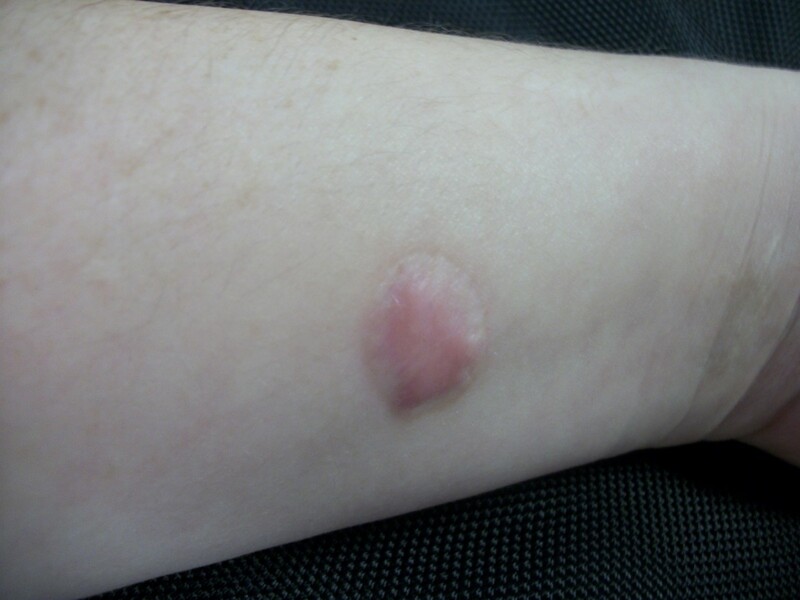 If on the skin, remove clothing with any residual poison, flush with cool water for 20 minutes. If inhaled, remove to fresh air. If no signs of life, begin CPR. 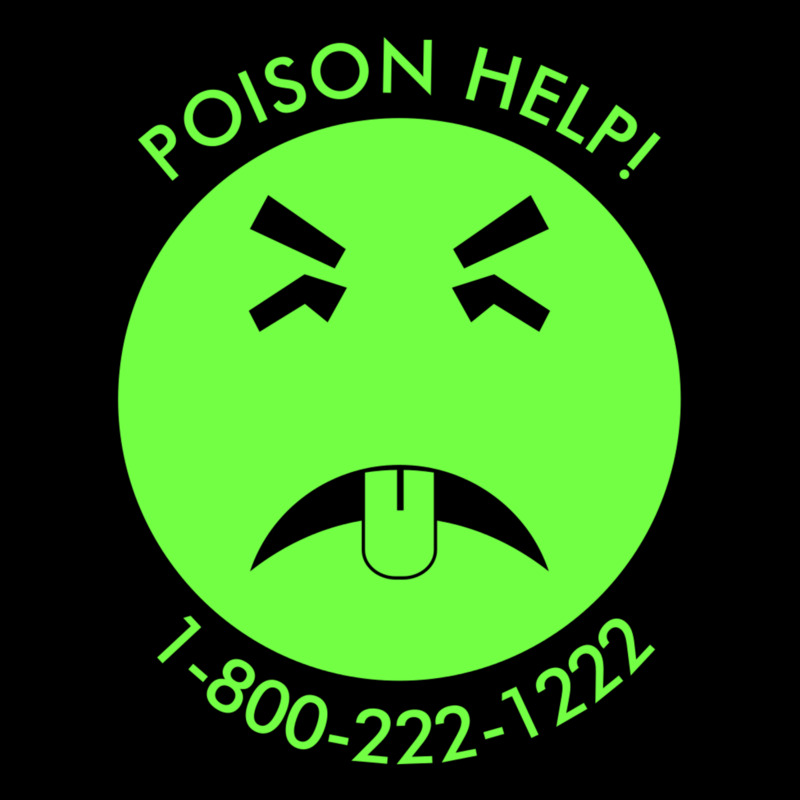 Poison Control Center: Call (1-800) 222-1222 right away. They are available 24/7. 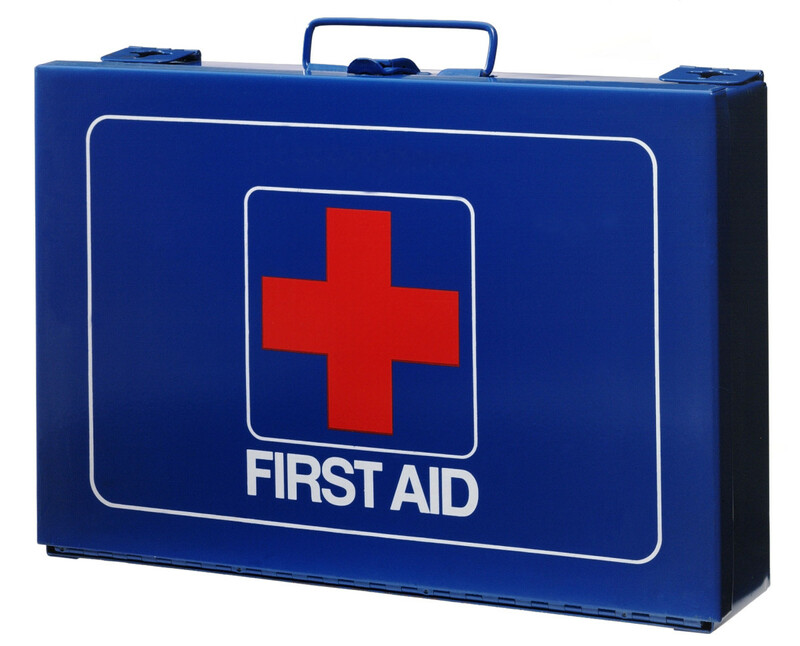 A good first aid kit is both an investment and insurance. Compress 30 times, blow into their mouth*, 2 times, then compress chest again. Repeat step 8 until emergency help arrives or child begins breathing. *recently, blowing into mouth is debatable--the chest compressions are more important. Clean the area around the area around the cuts with a soap and water solution or sanitizer solution. 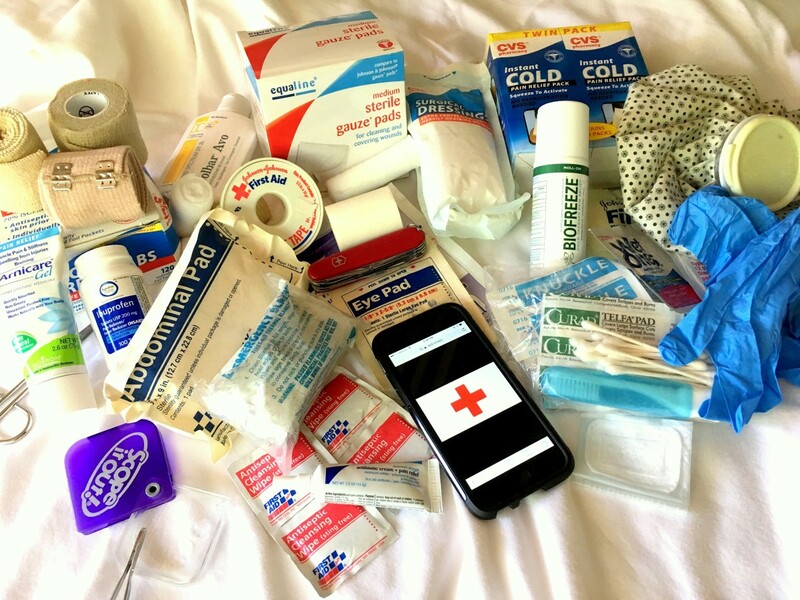 To stop the bleeding, cover the wound with a clean cloth or gauze and press down with the palm of your hand. 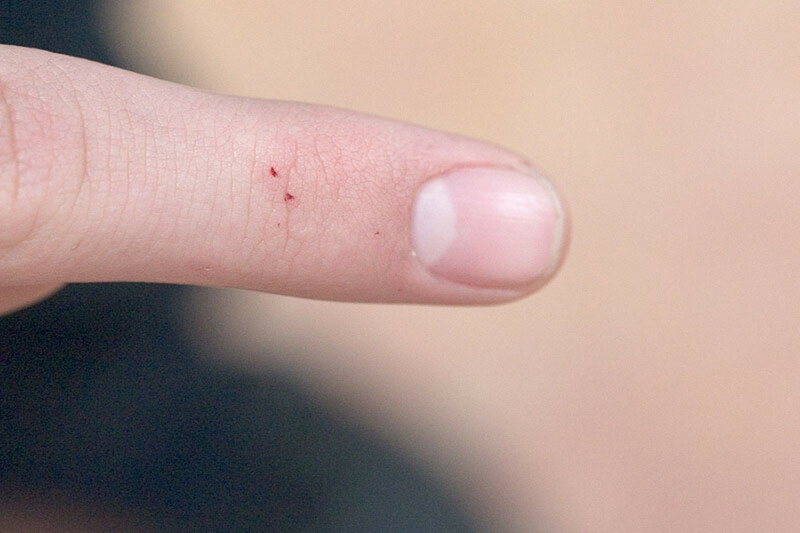 If blood soaks through, do not remove, add another layer and continue with direct pressure. Continue direct pressure for several minutes even after bleeding stops. Breaks and fractures require immediate medical attention. If the break is part of another injury and there is bleeding or unconsciousness without breathing, address the not breathing first. Read the section on CPR. Next, if there is bleeding involved, concentrate on that. And thirdly, deal with the break or fracture. Again, apply the B.A.D.A.S.S. approach. Be gentle, even slight movement will cause a lot of pain. Does the place where the fracture occurred look deformed? Has the bone broken through the skin? Is the area of the break numb? Is the injury around the head, the back, or the neck? In the event of a suspected head, back, or neck injury, DO NOT MOVE THE CHILD! Immobilize and wait for emergency medical attention to arrive. Below is a video showing how to splint broken bones. 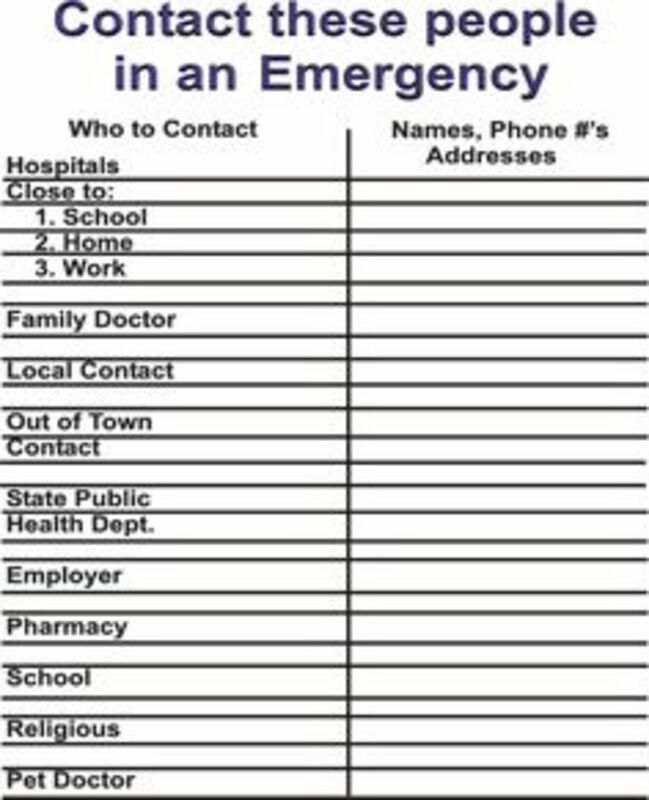 When an emergency arises, you don't want to spend precious time trying to find phone numbers or contact information. A must have list. It is also a good idea to keep one in your wallet or purse for "on the go" incidents. Make sure any babysitters also know who to call--just in case.